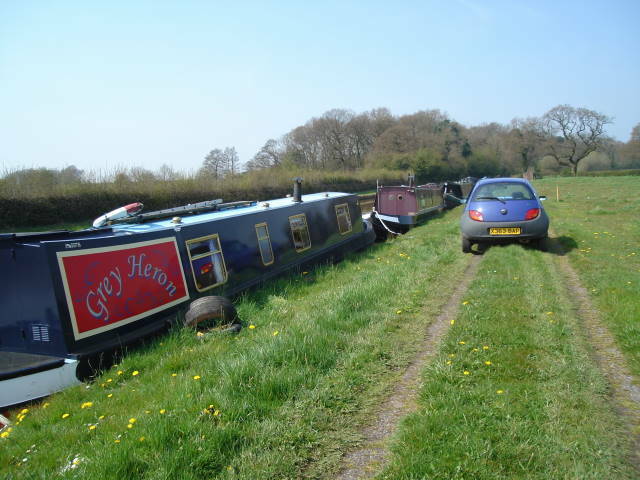 I’ve been and left Paul for a week to help Anne move her boat from Market Drayton to Brinklow. Anne found that her mooring on the “Shroppie” was too far away and on the wrong side of the country. Hence the move back to the North Oxford Canal to the new marina at Brinklow, which is near her Mum and brother. Nearer to us too! I got the train up to Stafford, and Anne drove us to the boat in glorious sunshine. This entry was posted on Tuesday, April 22nd, 2008 at 7:41 pm and is filed under Uncategorized. You can follow any responses to this entry through the RSS 2.0 feed. You can leave a response, or trackback from your own site.